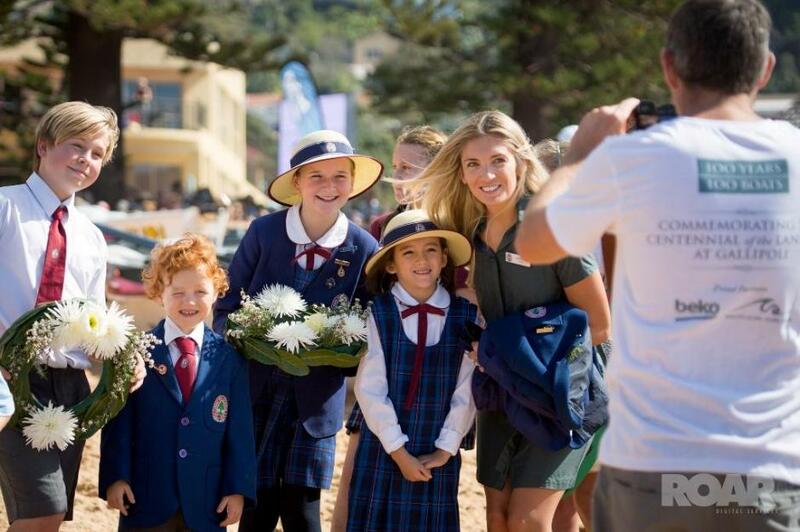 South Curl Curl Surf Life Saving club partnered with Turkish household appliance giant beko to help commemorate the 100 years since the Gallipoli landings. 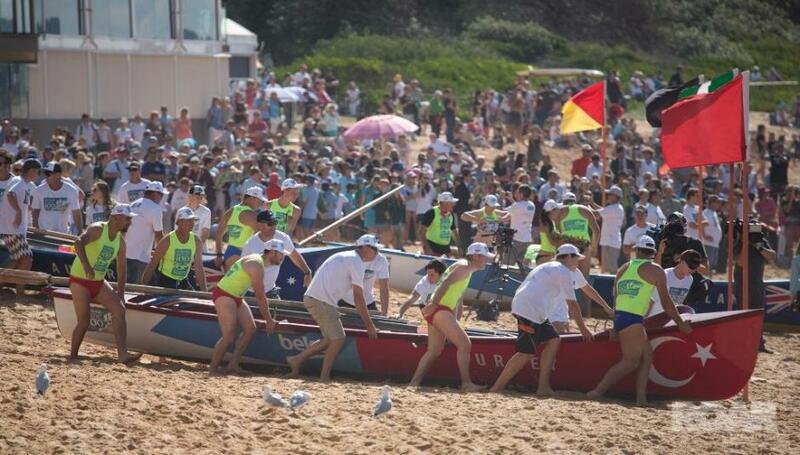 100 surfboats simulated the Gallipoli landings at Collaroy Beach on ANZAC Day 2015 and thousands of people attended the Commemoration Service. 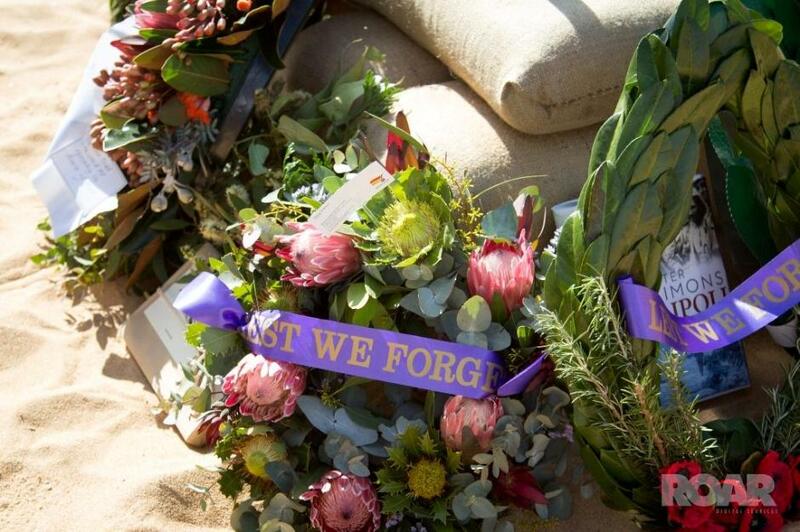 The commemorative event was held at 12:15pm, aligning with the Dawn Service at Gallipoli. 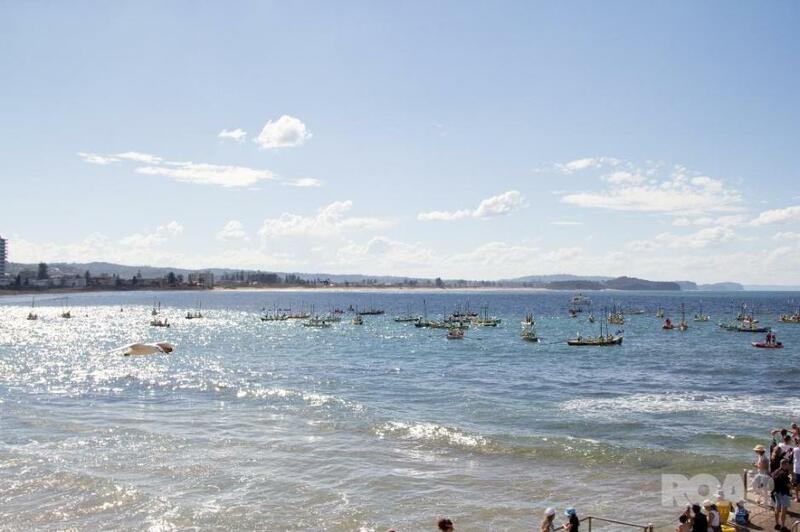 Large LCD screens televised the “live” Gallipoli Dawn Service prior to the simulated landing, which came to shore in waves of surf boats, prior to the wreath laying ceremony. 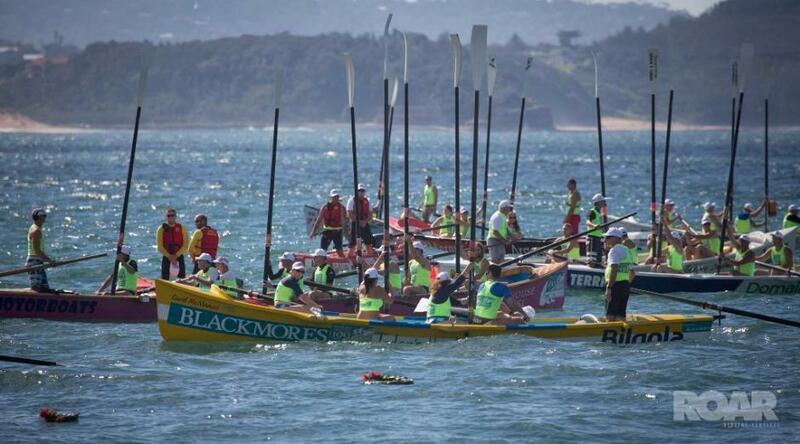 Surf Boat crews from Australia, New Zealand and Turkey took part in the Commemoration Service. 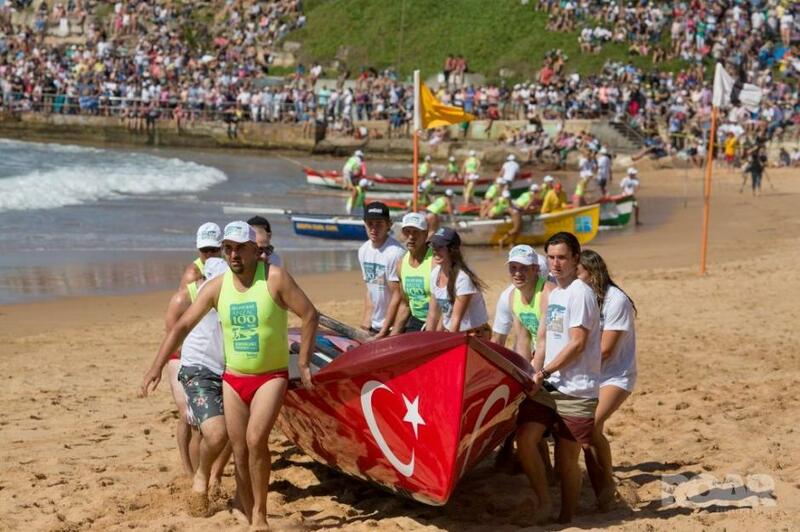 Turkish Australian, Can Erdogan, who had trained with South Curl Curl crews prior to the ANZAC Day Service was first to land on the beach. 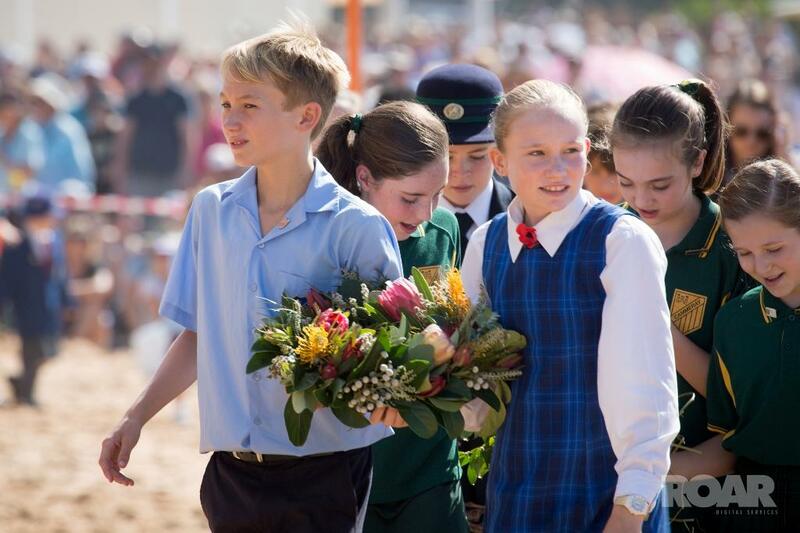 Education of our younger generations formed an important part of this commemorative event. 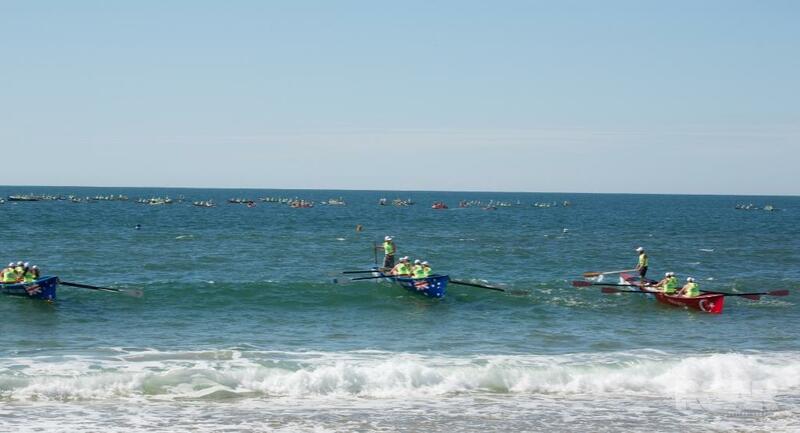 Wreaths made by students were presented to a member of each of the 100 surf boat crews who returned to sea, raised their oars and present the wreaths to the depths. 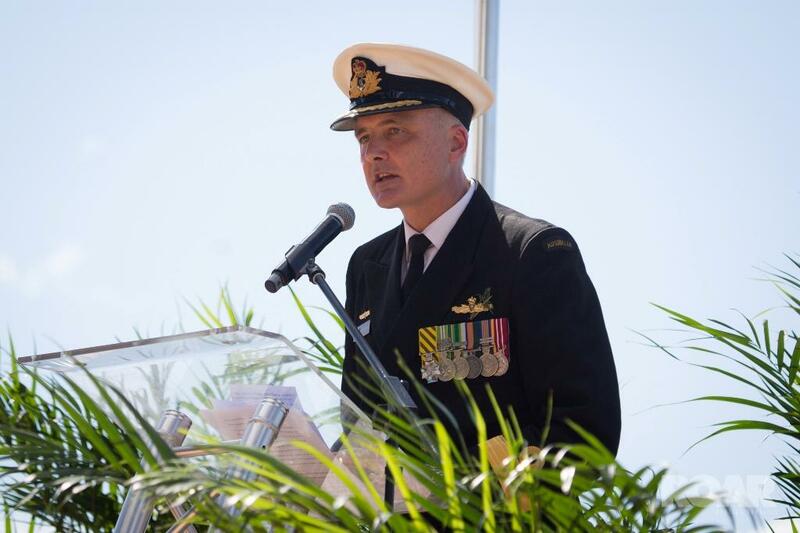 Commodore Lee Goddard, of our Royal Australian Navy, who was also present at theANZAC Centenary Commemoration Service - Warringah and Mackellar Federal Electorates last Sunday, April 19th, spoke with feeling to the younger members of those gathered for the One Hundred Surfboats to Mark 100 Years Commemorative Service, reminding them many involved in this conflict were young like them. 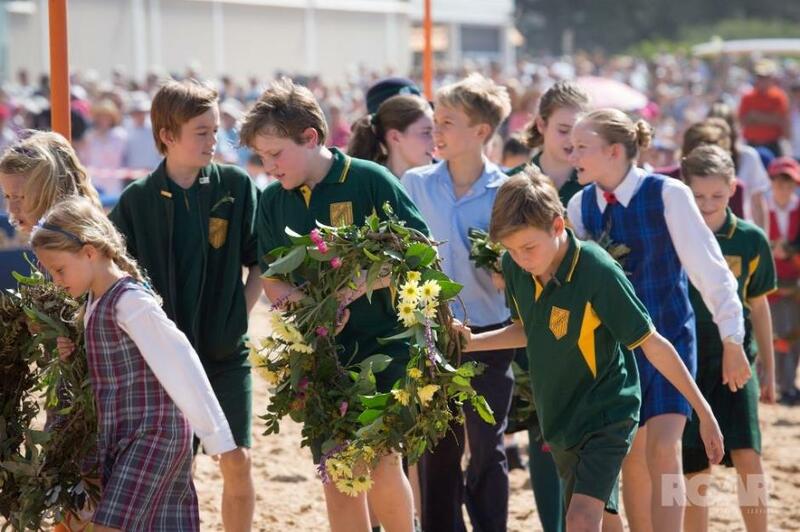 The ceremony followed Royal Australian Navy ceremonial protocols with the inclusion of readings by attending dignitaries INcluding Premier of NSW Mike Baird and Mayor of Warringah Michael Regan, school children, and the reading of the ‘Ataturk’ poem. 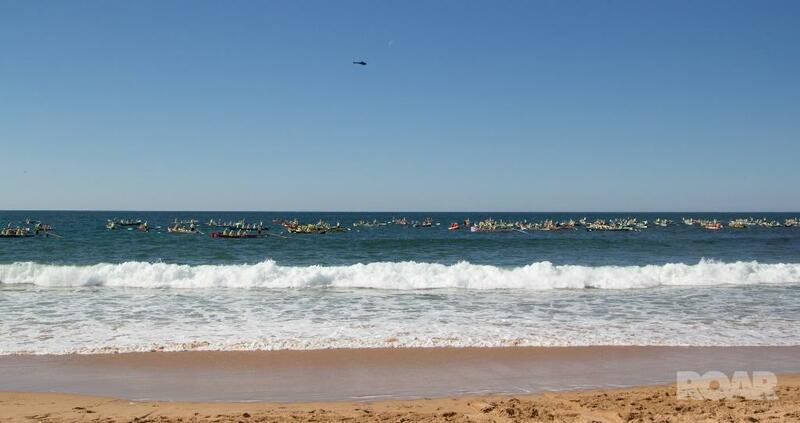 South Curl Curl Surf Life Saving and Life Member Bryn Russell was the chief organiser of the event. 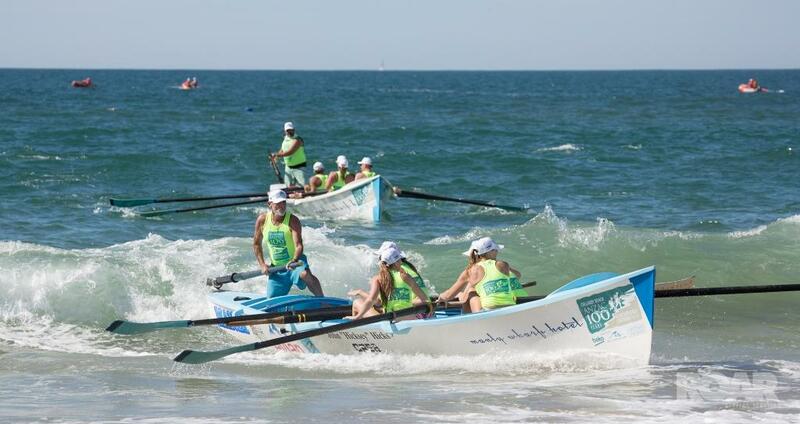 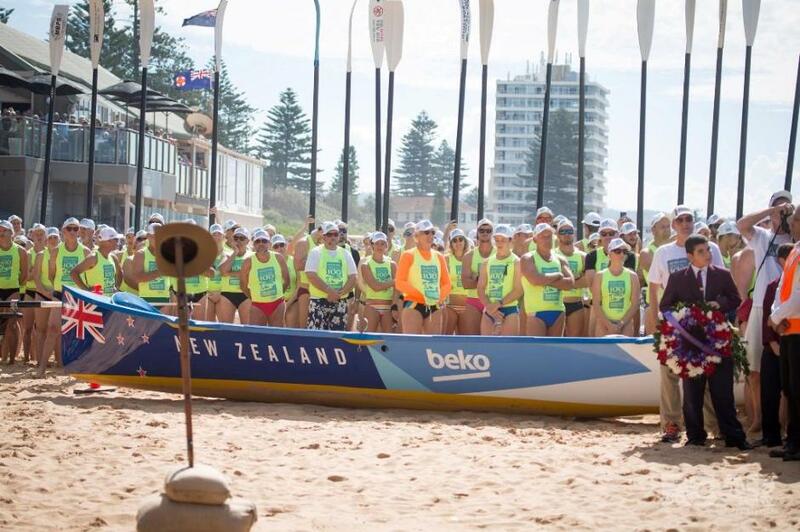 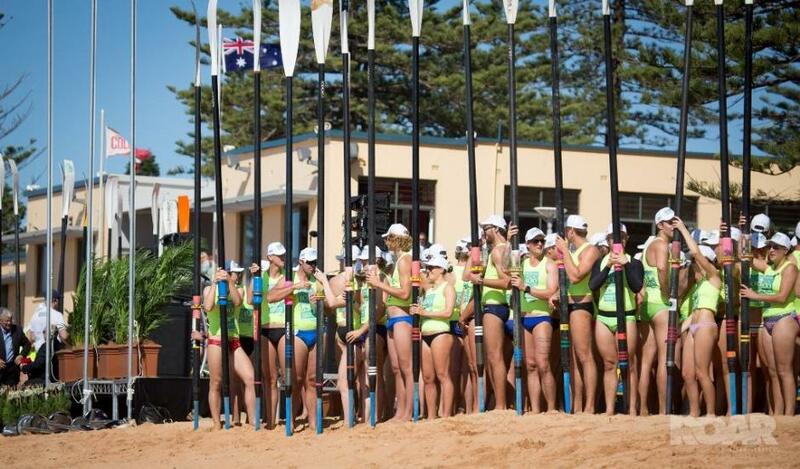 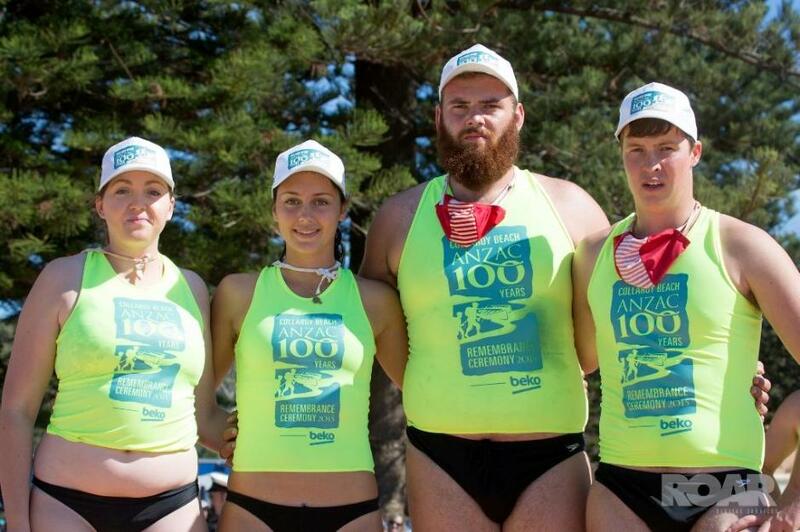 "As the Club's representative for this community event we were fortunate to have such a relevant partner in beko and to be supported by Warringah Shire Council, the New South Wales Government, Collaroy SLSC and the Collaroy RSL Sub-Branch." 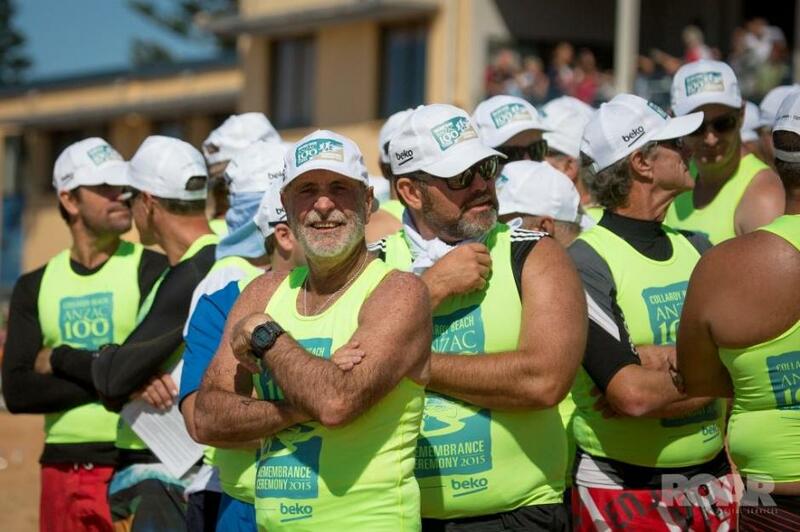 said Mr. Russell who was very pleased with how well the event was attended. 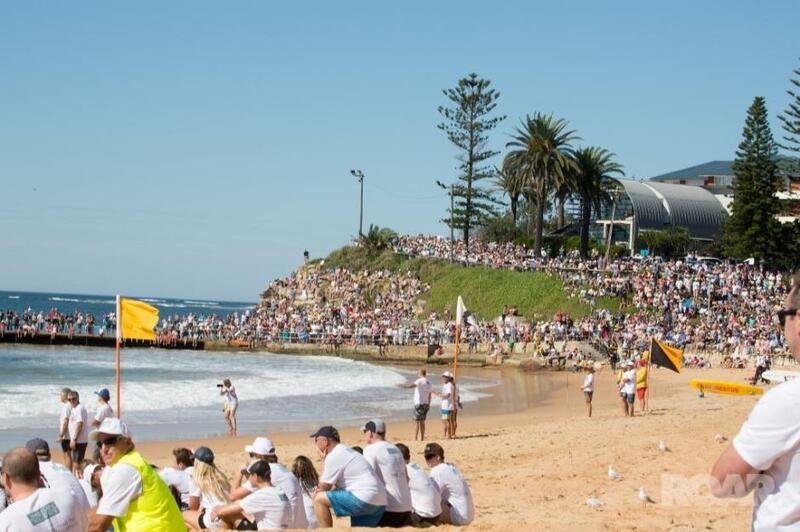 Most of our Northern Beaches, Australian and New Zealand Surf Life Saving clubs have members that served their country during what was to be the ‘War to end all wars’, many of whom did not return. 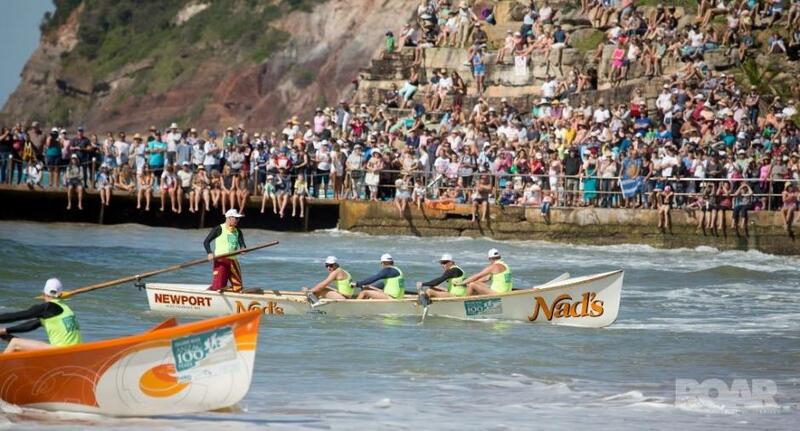 Members who are now grandfathers recall the formation of local clubs was through returning Service people who instilled an ethos of serving others into these clubs – a tradition carried forward and honoured yesterday. 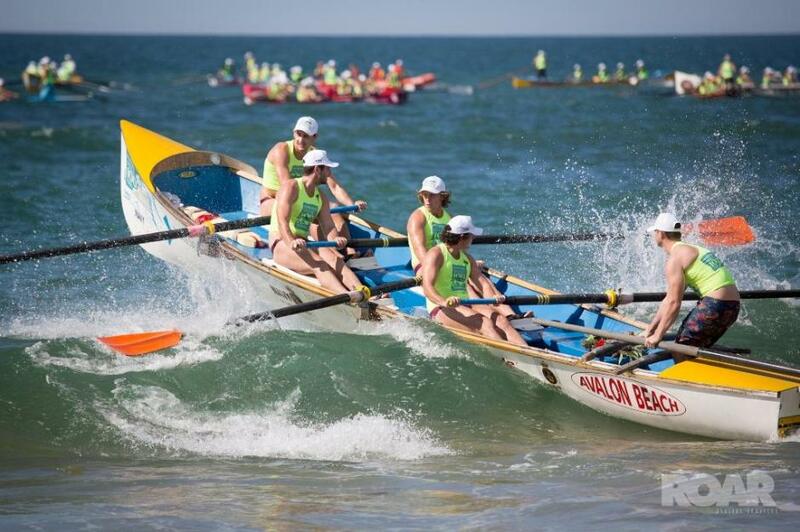 With oars upright as a mark of respect, the surf boat lifesavers dropped the wreaths made by children into the water to close the 100 Years 100 Boats Commemoration. 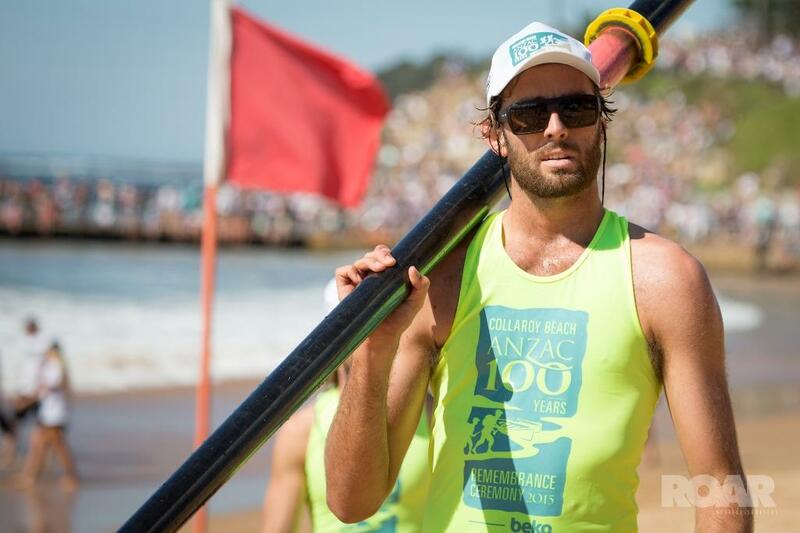 Commodore Lee Goddard, of our Royal Australian Navy. 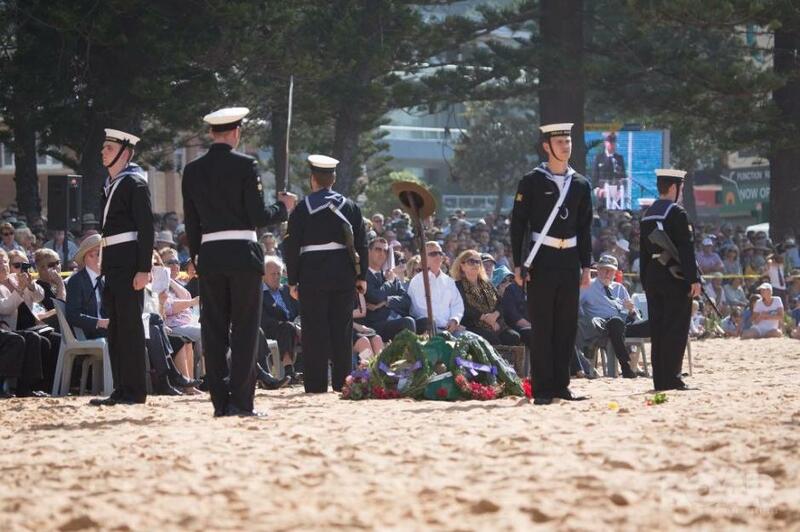 Catafalque Party formed by HMAS Watson. 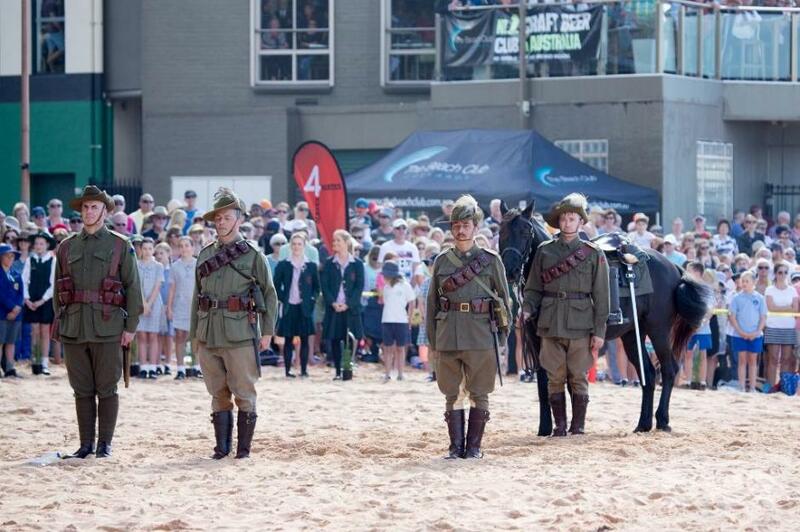 Light Horse Brigade at the Anzac Day Service at Collaroy Beach. 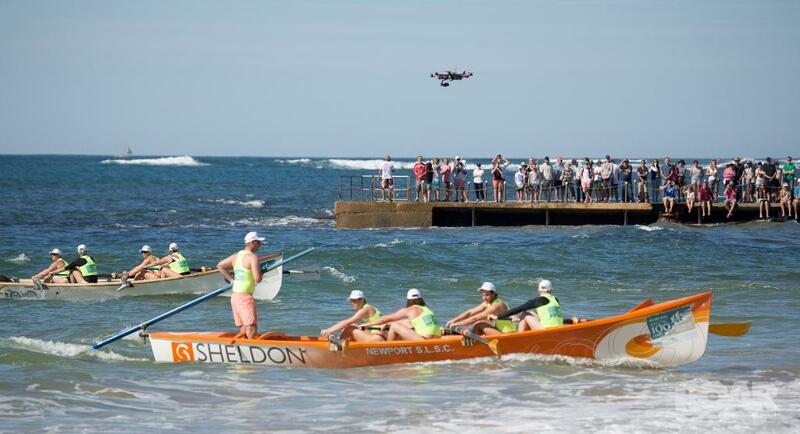 Photographs by Jamie Nilsson – Roar Digital Services.